Satisfaction is GUARANTEED! If you experience a problem with an item purchased from us, please contact us so we can trouble-shoot the problem. 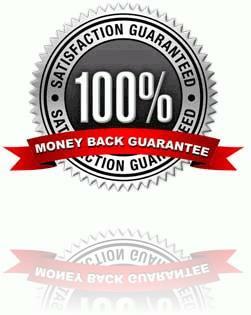 We certainly want you to be completely satisfied with your purchase. However, due to abuse of our liberal return policy the following return policy must be enforced. We'll accept returns only with a return authorization number issued from us via email. Merchandise accepted for return, with all original packaging, paperwork and manuals, and in new condition and is subject to a restocking charge of 15% of the original purchase price. Any and all returns will be subject to this restocking fee. Returns will only be accepted within 30 calendar days of original purchase date. Any and all shipping and handling charges are NOT refundable.